Quantock Vets January Pet of the Month winner – Alfie! Alfie, a little Italian Bolognese, was first brought in to the Hospital in mid November with pain in both his ears, although we couldn’t find anything wrong apart from a high temperature. His Mum and Dad were away on holiday. so he was being looked after by his grandparents. He returned two days later with the problem now evident – two ruptured abscesses at the top of both of his ears! These were presumed to be cat bite abscesses – Alfie had been known to pick fights with Ozzy the cat – although a scuffle with a squirrel in the garden could not be ruled out! 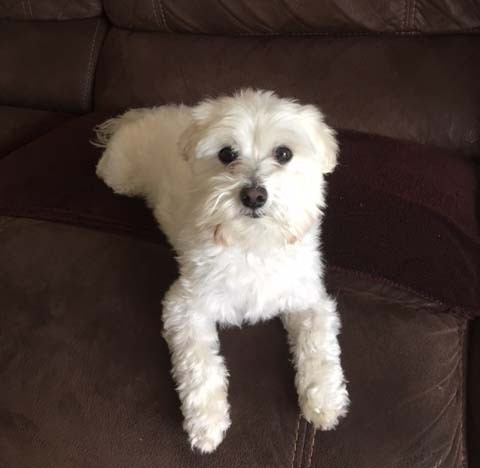 We started treating him with antibiotics, but unfortunately, Alfie proved impossible to tablet! He came back two days later very sick, with a high fever, pain, bruising and swelling of his ears, with the pus tracking between the outer and inner layer of both of his ears. Gravity was working against Alfie now, with the pus from the abscesses being drawn down to the ear tips. He had intravenous fluids and antibiotics in the hospital for two days with repeated lancing and draining of both his ears, but they filled back up with inflammatory fluid instead of pus. Alfie went home but stopped eating completely and became very miserable, and he was shaking his head all the time. His temperature was always high. He started taking appetite stimulants as well as two painkillers and antibiotics. We started bandaging his ears up over his head to try and stop gravity causing the ear flaps to fill with fluid. We continued this for two weeks, while we waited for tests results, and to see if they would get better without drastic aural haematoma surgery. After two weeks of no progress and lots of head bandages, vet Amy and Alfie’s owner took the drastic decision to perform bilateral aural haematoma surgery on both of Alfie’s ears on the 1st December (Happy Christmas, Alfie!). 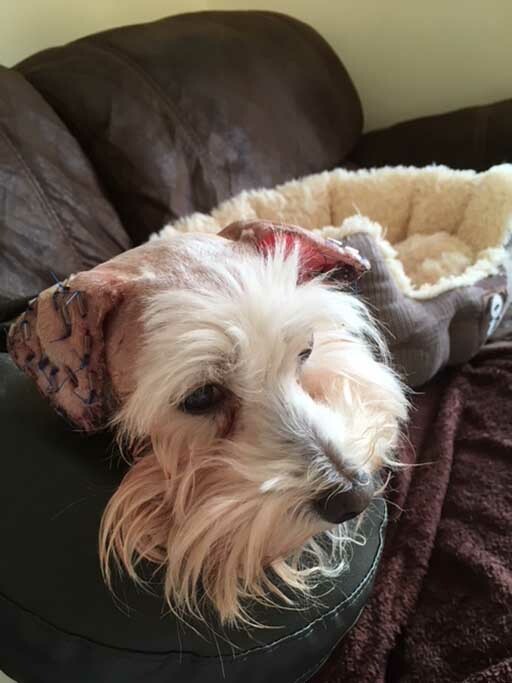 Vet Amy explained “This surgery places lots of little ear piercings right through the dog’s whole ear flap, from one side to the other, causing extensive scarring and inflammation over about 3 weeks, to stick the two sides of ear together. This is a surgery normally done on spaniels, Labradors and Staffies, who usually don’t mind very much, but Alfie was only a little 4kg Bolognese, and we knew he was going to find the post operative period very challenging. 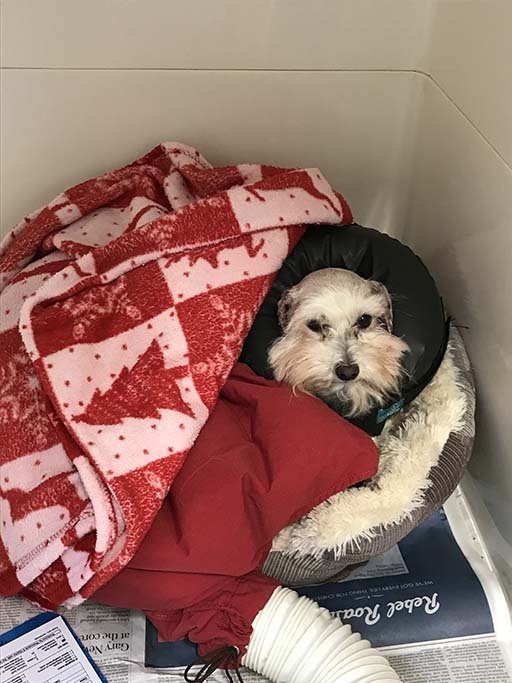 The surgery went well, although he did have to have all his head and ear hair clipped off, which made poor little Alfie look like a schnauzer!” See picture. Three days later, a further pocket of fluid had opened up in the left ear, right up near the base of the skull! Alfie’s mum was very keen to just get this one tacked as well straight away, because he was so sore with this new pocket that he was hanging around with his head on one side and refusing to eat. Alfie had another general anaesthetic and revision surgery for his left ear, where we placed even more tacks to hold everything together. We had a power cut during this operation, so vet Amy ended up operating by torchlight! 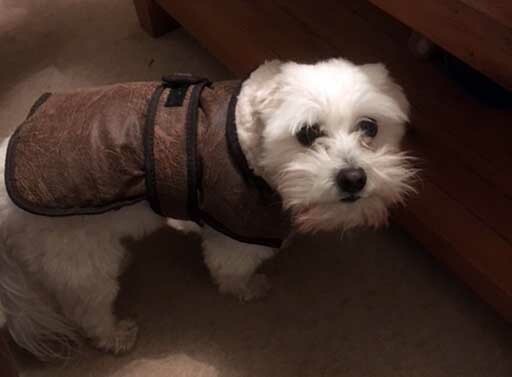 Over the next two to three weeks, Alfie had to come into the surgery for daily tableting of his appetite stimulating tablet, painkillers and antibiotics. Had two further anaesthetics to re-open the drainage channels in his ear and clean everything up for him. He kept shaking his head because of the discomfort, which made his ears more sore. Alfie slowly got better, and Alfie’s mum managed to get him off all his tablets and his temperature became normal. “Three weeks after his second surgery, just before Christmas, we anaesthetised him and removed all his stitches. It was so nice to be able to give his ears a really good clean and tidy up all his hair. Alfie’s parents were away in Australia over Christmas, and they didn’t get to see him fixed until they came back! Luckily, when they did come back, he was back to his old self, with little cauliflower ears and back to barking at squirrels” explained Amy. 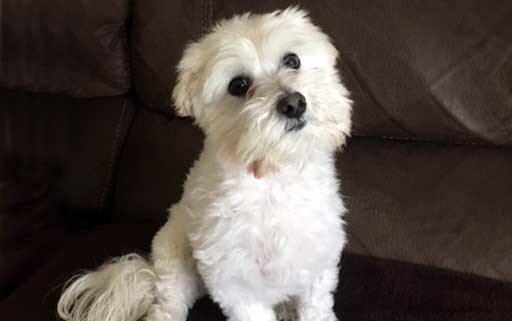 Karen, Alfie’s Mum praised the team at Quantock Vets “Throughout Alfie’s period of illness, surgery and recovery, all the staff at Quantock Veterinary Hospital went out of their way to ensure that Alfie’s welfare, physically and emotionally was their priority. I cannot fault their dedication, consideration, and kindness, from entering the building and speaking with the receptionists, to the team of vets and nurses that cared for him. Alfie is an Italian Bolognese, a breed which go back to the 12th century and who were bred predominantly as companion dogs. 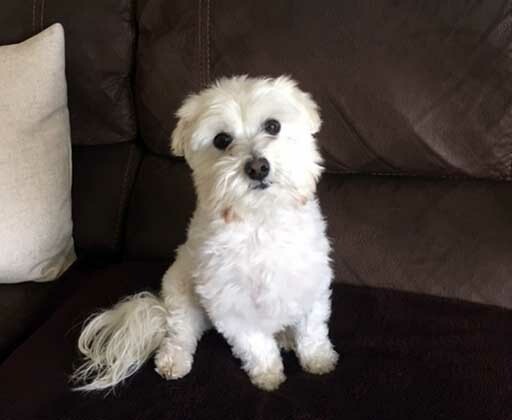 Due to their nature, they are extremely sensitive and clever little dogs whose main desire is to be around people constantly or on someone’s lap. The staff at Quantock Vets soon picked up on this and went out of their way to alleviate his anxieties. I know on one occasion during recovery from one of his operations a veterinary nurse carried him around in her arms most of the afternoon, providing reassurance and cuddles. “I would also like to express my sincere thanks to Dr Amy Haylock who never once faltered in her care and determination and who I know, vested a lot of time, emotion, experience and knowledge in ensuring a successful outcome for Alfie. To continue an operation via torch light speaks volumes! 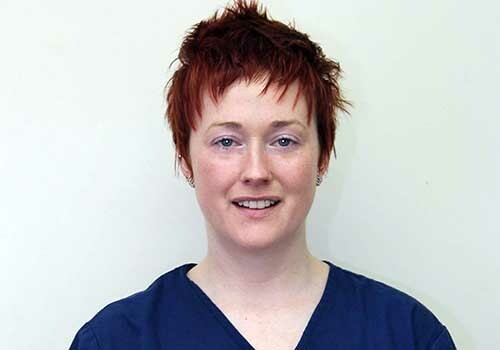 In addition to dealing with Alfie, Dr Haylock continually kept me up to date with, and involved in the decision making, always taking time to explain and reassure me when I became overwhelmed with concerns. Thank you for your kind words Karen, and huge congratulations to you and Alfie for being chosen as our first Pet of the Month for 2018!